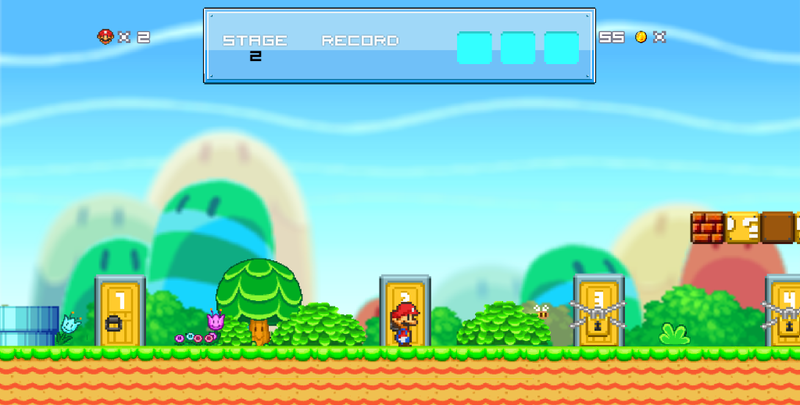 Super Mario Bros Star by Mad Dwarf is an amazing Flash adaptation of Super Mario game with a lot of fun. 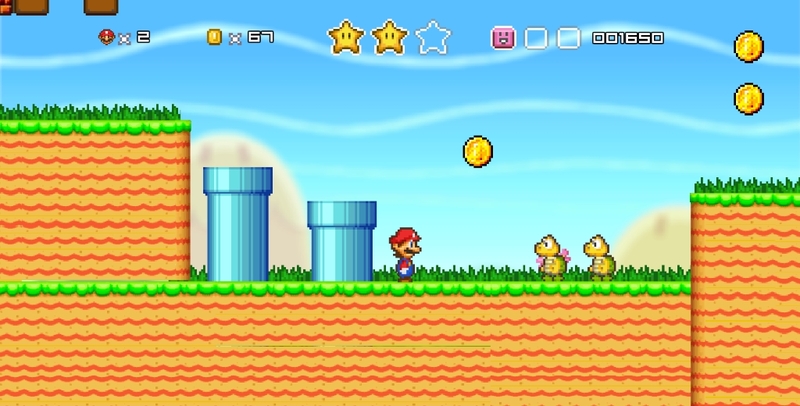 Super Mario Bros Star is, well... very similar to the typical Super Mario games from the 16 or 64-bit era. This Flash adaptation of Super Mario is pretty good. It has nearly everything that the classic Super Mario Bros had from instant growth spurt by eating mushroom, shooting fireballs and stomping on monsters. However, not everything is the same. For example, instead of giving you invincibility, the star in Super Mario Bros Stars is collectible. You have to collect 3 stars to open up the next stage. 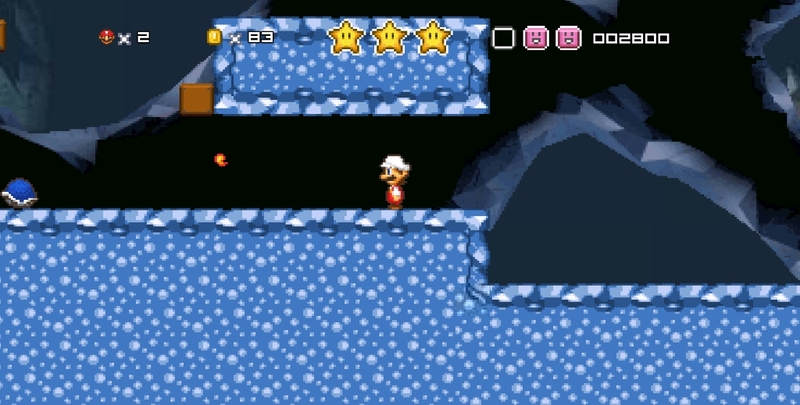 In addition, instead of the classic jumping to catch the flag as high as possible, in Super Mario Bros Star, you only need to collect 3 stars. Once you do that, you have to go back to the door where you came from to go through the next stage. Overall, Super Mario Bros Star is highly enjoyable and the graphics are great. Totally recommended for action platformer game, especially Super Mario Bros fans!